Well, thats is for now. I will be heading to Alaska for the next four months. Trout fishing has been great, and we have been doing some pretty cool stuff on the Willamette, and Mckenzie rivers. It has been really fun fly fishing. Springer and steelhead numbers haven’t been quite like what we would have liked to have seen by now, but it’s worked out all right as far as I’m concerned. My phone will not be working while I am at the lodge, so if you need to get a hold of me use the contact form and email. If you are interested in salmon fishing in Oregon this summer go with this guy! 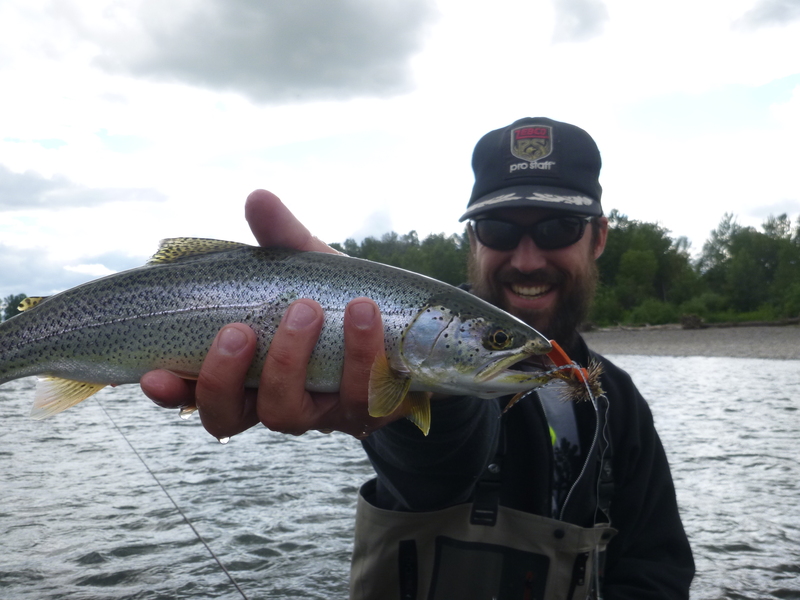 We had an awesome couple days with Jesse Zaonis, he is a really fishy guide.